Support for SAP SuccessFactors PM v11 is set to expire soon. 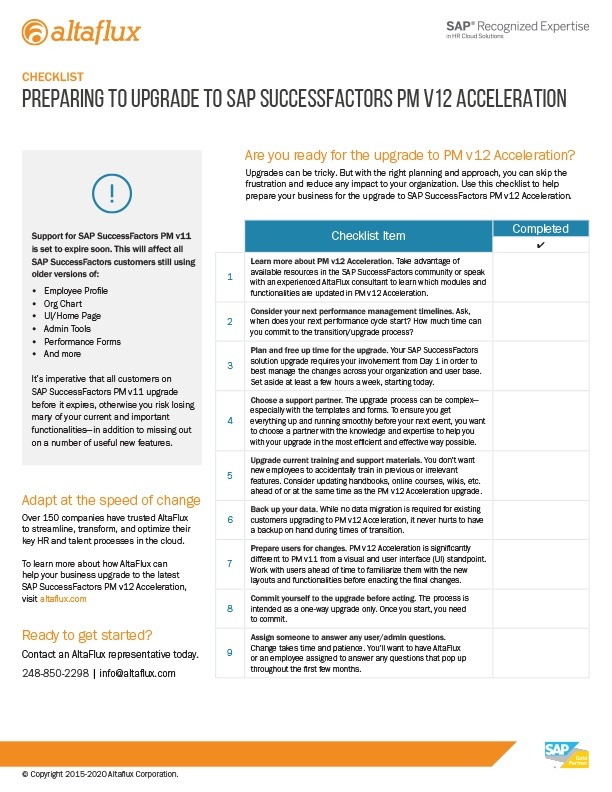 Are you ready for the upgrade to PM v12 Acceleration? many of your current and important functionalities—in addition to missing out on a number of useful new features.